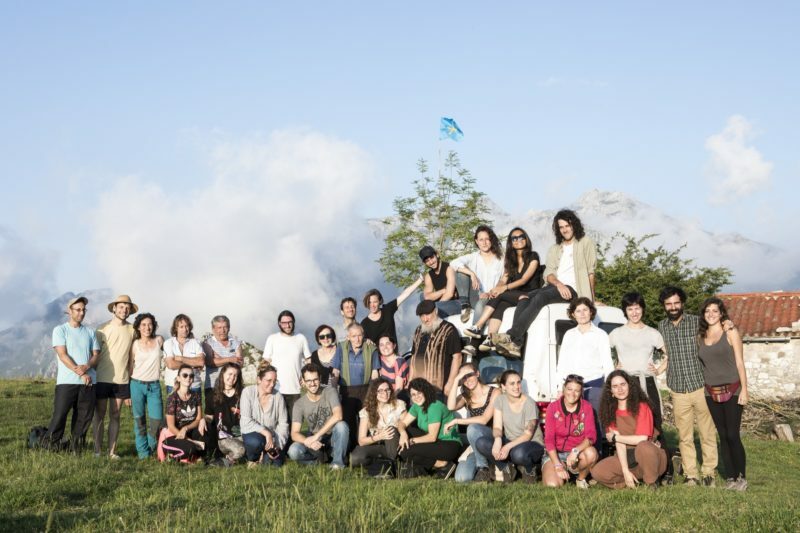 Invited by Inland, an ‘arts collective dedicated to agricultural, social and cultural production’ (retrieved from http://www.inland.org), and the support of the Goethe-Institut Madrid, Constructlab temporarily moved into The Art and Agroecology Center, a 17th century mountain village in the north of Spain. The undisclosed set of rural constructions is an experimental model village for the collective. 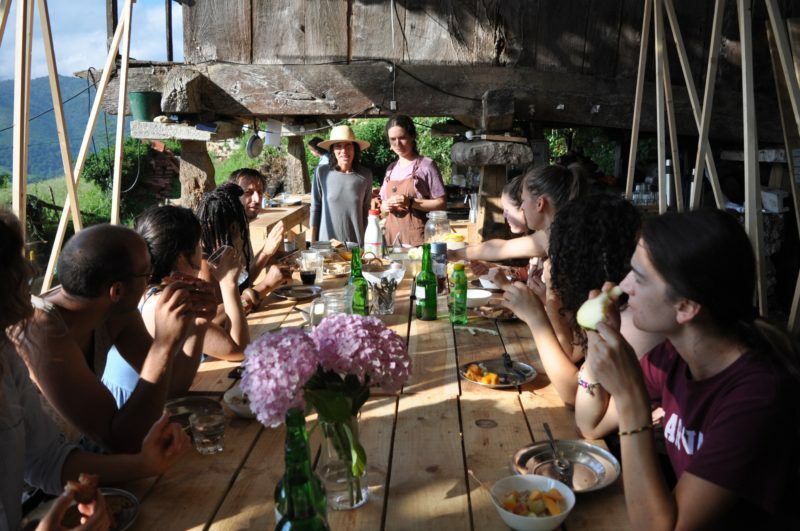 A rural base that welcomes the New Curriculum; ‘a multidisciplinary knowledge program around the relationship between art, farmers’ knowledge and agroecology’ (retrieved from http://www.inland.org). 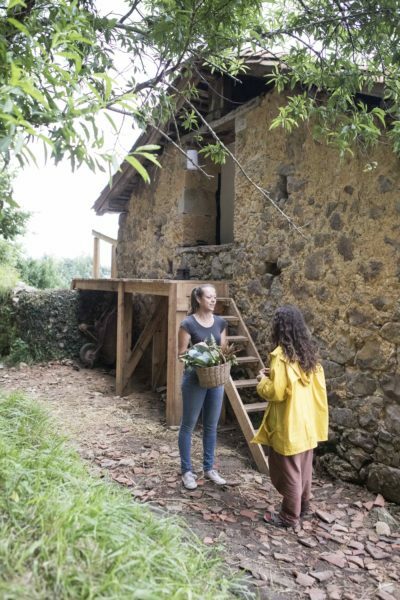 The practice-based curriculum seeks to foster active exchange between different areas of knowledge in order to reunite culture to nature, city to countryside and create synergy towards a sustainable rural development. 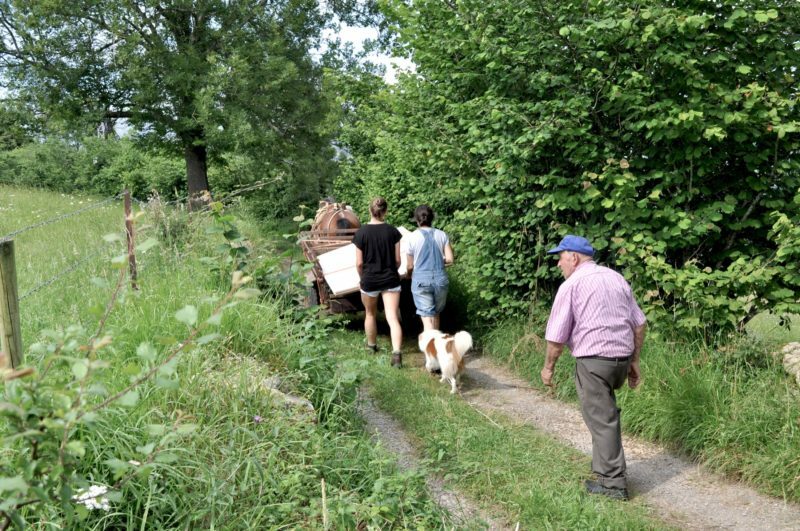 Presently undergoing the first phase of recuperation, the semi-inhabited village is to be fully restored in the coming years in order to welcome both a permanent set of residents (Inland group), and temporary ones (artists, students, scientists, researchers … ). 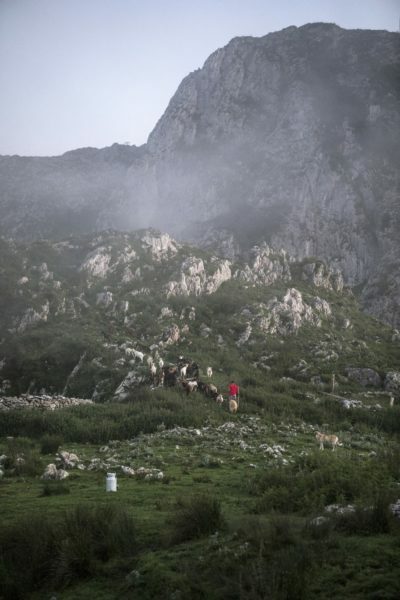 The restoration process is to take place in parallel with the New Curriculum meetings, allowing for the development and direct application of the knowledge shared and created in these meetings to transpire through the activities on the site. 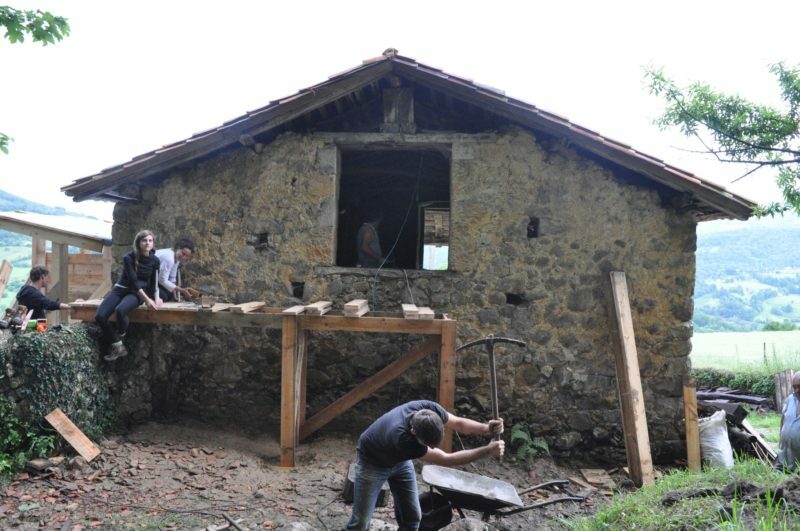 The village will therefore not only be recuperated through the renovation of its physical structure, but also through the cultural and social production that arises from the activities related and surrounding the construction of it. 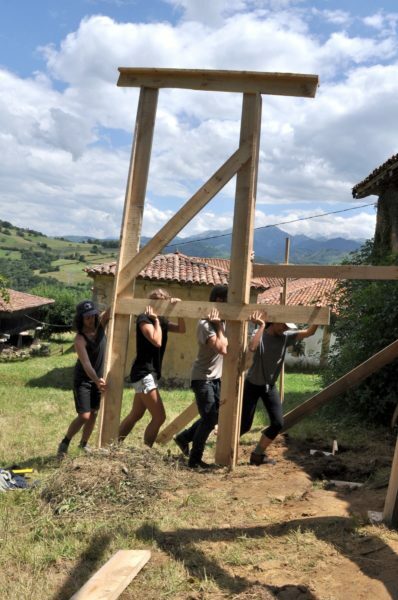 In preparation for the New Curriculum, Constructlab was asked to develop a set of infrastructures to welcome the first gatherings (from June until September 2018). 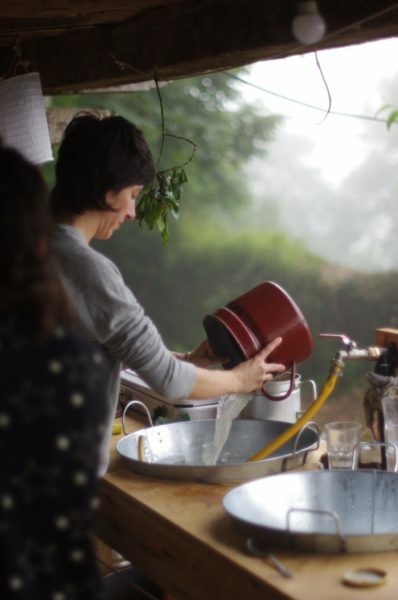 Departing from the question of what it means to re-inhabit an abandoned rural space, the group set up to build the basics; beds, showers and toilets, a kitchen and a gathering area. Enough elements to house a temporary community, with its own set of backgrounds, needs and expertises. 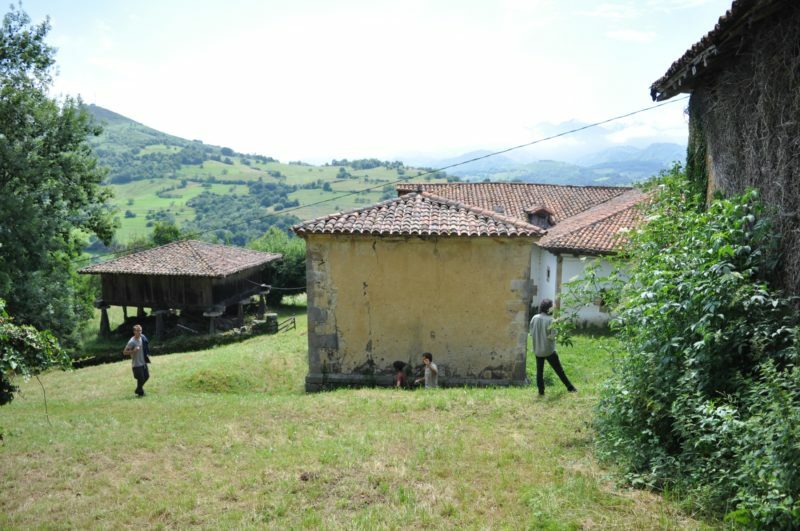 Three out of the eleven buildings that compose the village were invested on throughout our intervention. 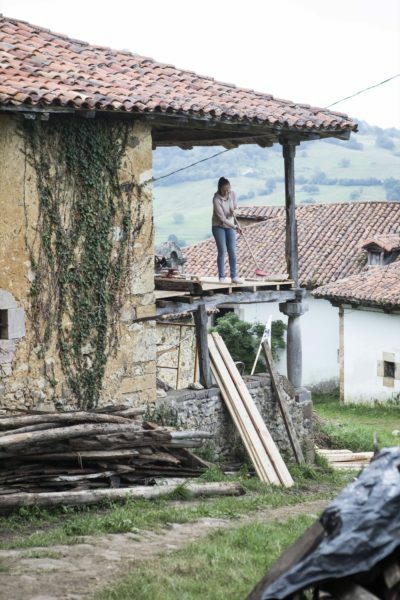 First, by the setup of an outdoor atelier under an horreo (granarie) to support the rest of the building work. 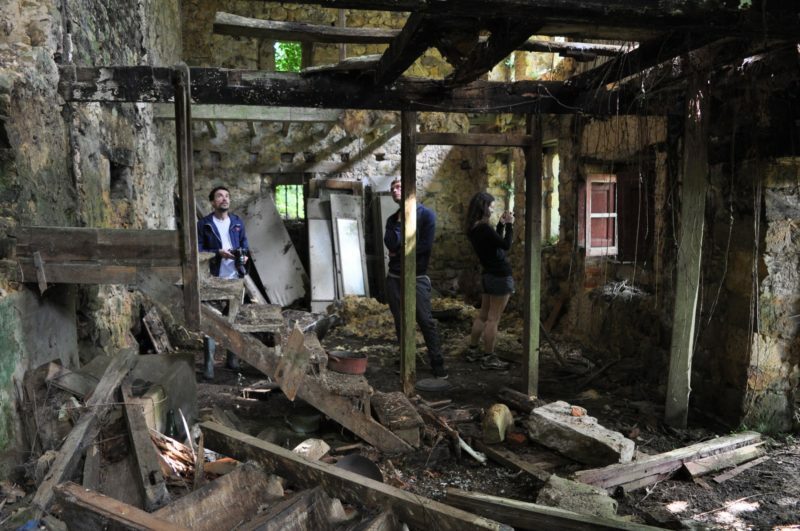 Then, by the restructuration of two horreos and a former barn into dormitories. 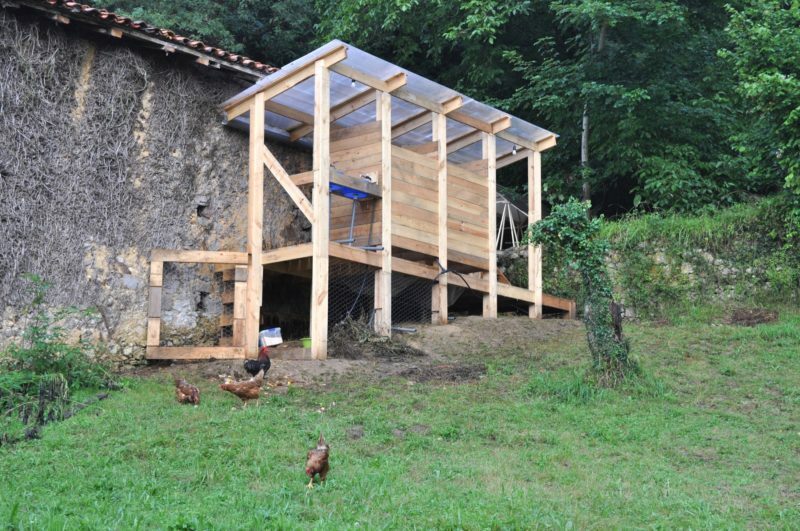 The later being complemented by an open structure built as an attached extension; hosting an access to the second floor of the barn, a set of showers and sinks and underneath them a chicken coop. By the end of the building site, the atelier was transformed into a kitchen connected to an adjacent meeting and dining place, defining a central space for cohabitation. 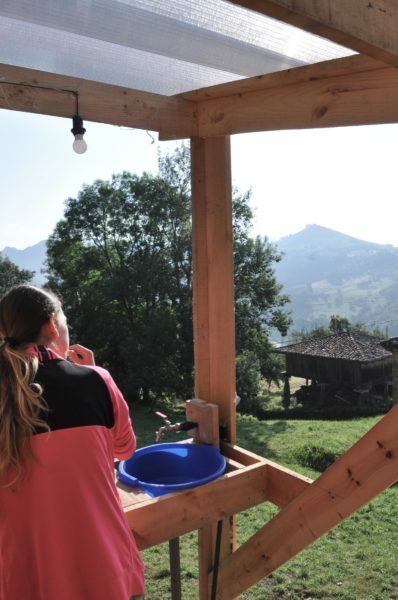 The construction, that first started as a solitary mission, was complemented and implemented through the arrival and departure of different groups of people throughout our stay, slowing investing other parts of the village. 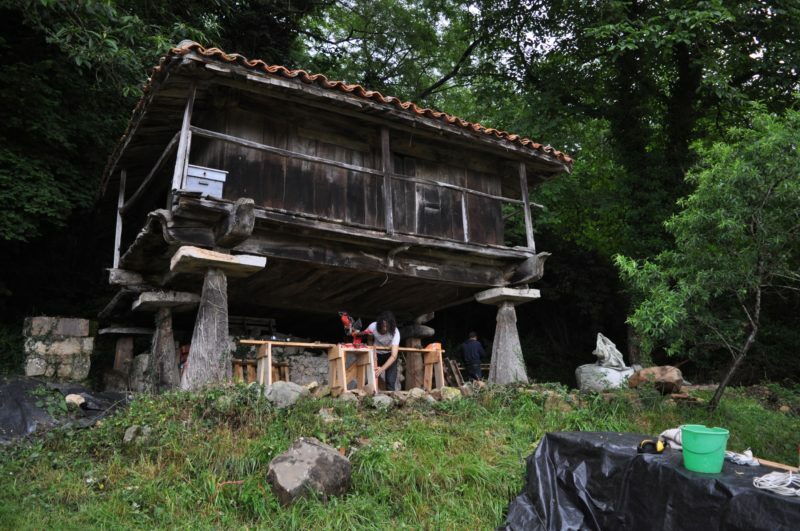 Sleeping, eating, living and working on site together, became an active way of exploring the village and its ecosystems. 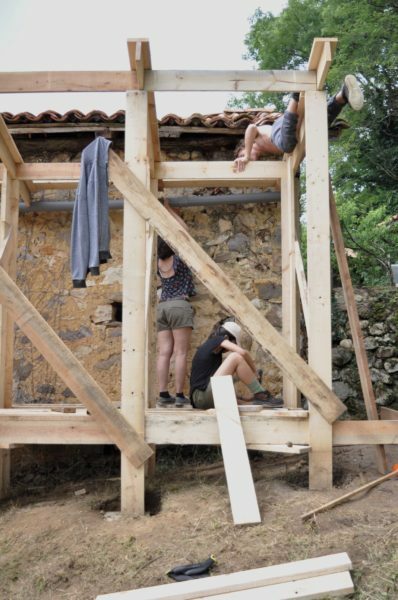 The construction weeks and succeeding gathering were moments that brought, in both a theoretical and active way, visions, questions and reflections about the village and its surroundings.